Samsung’s flagship phablet, the Galaxy Note 4, will hit stores in October and many people can’t wait to get their hands on this exciting device. It is an upgrade from last year’s Galaxy Note 3 and is expected to improve many of its shortcomings without drastically changing its appearance or how it functions. It seems that United States top four mobile carriers, including T-Mobile, are offering the same device. Below, you will find the complete detailed Review of T-Mobile’s Samsung Galaxy Note 4 Review, Specs, Features, Price and Availability. The differences between the new Galaxy Note 4 and its predecessor, the Galaxy Note 3, are noticeable. The pixel density is better with 515 pixels per inch as opposed to 386 pixels per inch. The design and build are similar, but the newer device has a metal frame while the Note 3 is made from plastic. The Galaxy Note 4 now includes a heart rate monitor, fingerprint scanner and even comes with a UV sensor, none of which were on the previous model. Samsung started taking preorders September 19 (T-Mobile starts September 24) the same day as Apple’s launch of its new iPhone 6 and iPhone 6 Plus. Samsung fans are also buzzing about the company’s new trade-in guarantee. Users can trade-in any working smartphone for a Galaxy Note 4 preorder through October 16 and receive a guaranteed $200 to spend on the new phablet. The value of the phone you are trading in doesn’t matter. T-Mobile has chosen to start taking preorders for the Galaxy Note 4 a few days after the other U.S. carriers, but they are offering a sweet deal with delay. The new phablet is priced about the same as the new iPhone Plus (base price is $749), but T-Mobile customers can pay off the device in 24 easy monthly payments of $31.24. AT&T is offering the device at $299.99 with a two-year contract or $34.42 per month with AT&T Next 18, or $41.30 per month with AT&T Next 12. T-Mobile customers can also use the Galaxy Note 4 with no annual service contract, unlimited music streaming on the fast LTE network, no domestic overages and unlimited texting and data. Other offers from T-Mobile include its expanded family plan that allows users to have up to 10 lines for just $10 per line after the second subscriber without sharing data. Because the Samsung Galaxy Note 4 also acts as a tablet, T-Mobile customers can double their data up to 10GB when they add a tablet to their existing voice plan. 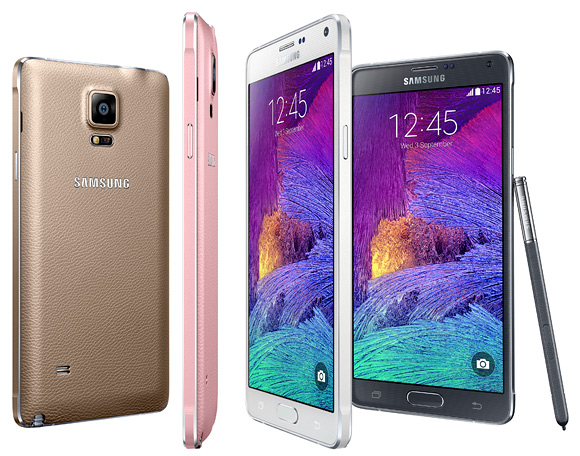 Consumers who are excited about the Samsung Galaxy Note 4 have much to look forward to. The new device has several great features that will make the flagship tablet a big success.